How Does a Thermal Label Printer Work? Through the effective use of a thermal label printer, companies can mitigate the time and expense involved in printing labels for their organization. However, many business leaders don’t have a clear understanding on how thermal label printers work. 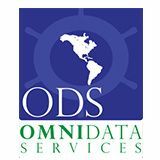 And so, to help printer buyers understand thermal label printer performance, our team at OmniData Services is providing a quick guide in this latest post. The thermal label printer operation begins with the placement of a roll of labels in a container within the machine. The machine will have a slot in which to place the container. The heat within the machine then reacts with the heat sensitive paper and the pigments transfer the image from the paper to the labels. It’s one of the fastest and most efficient means of producing labels for the modern business. In businesses that rely upon label printers for their shipping processes, thermal printing products hold a high value. That’s because they can streamline the printing of shipping labels. This has a number of add-on benefits for the company. Firstly, teams spend less time trying to print and more time focusing on providing service to customers. And secondly, the customer receives their delivery in a quicker timeframe, thereby helping the organization achieve significant branding recognition from new and existing customers. Another leading advantage of using thermal label printers within the modern business is that the products have fewer maintenance requirements than traditional printers. There are simply fewer things that can go wrong in a thermal label printer than within an impact printer. And this means businesses don’t have to keep calling the repair specialist out to take a look at their printers system. It also means less downtime for the company and a higher level of productivity. Higher print quality is another clear advantage of the thermal printer over impact printers. This is important in creating clear, high visibility labels for shipping and for merchandising. Thermal printers produce images that are more resistant to oils, climate, and UV rays, ensuring a high-quality label that remains in peak condition over a significant period of time. By working with experts in the printing field, you can access the highest quality label printer for your organization and its long-term printing requirements. To learn more on thermal label printers and the unique operational benefits they can bring to your business, contact our trusted team today! Is the Dot Matrix Printer Market Going to Grow? Have You Invested in a Thermal Printer? Learn Why You Need One in Your Business!